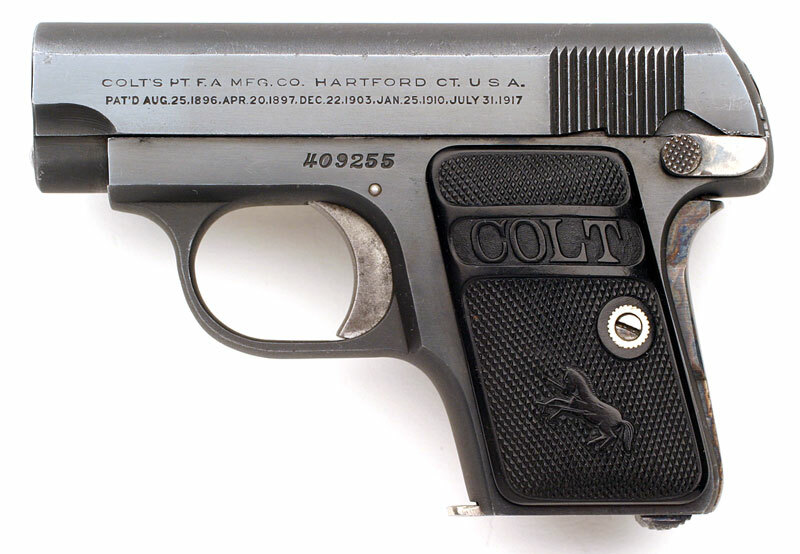 Colt 1908 Vest Pocket .25 ACP serial number 409255 - Pistol has original pre/post-war blue finish on the flats with matte finish on the radius areas of the pistol. 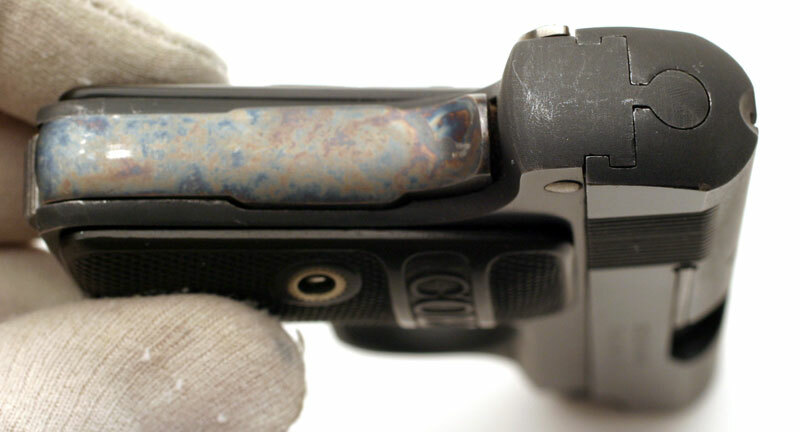 Color case hardened small parts, including an early Type I trigger. Type II black hard rubber stocks with nickel stock screw. While the pistol has the standard factory markings of the day, it's missing the Rampant Colt on the left side of the slide, the VP on the upper left flat of the trigger guard as well as assemblers and inspectors mark. This is a no letter gun and was either an example used to prototype a late post-war blue finish or was a lunch-box gun. Colt 1908 Vest Pocket .25 ACP serial number 409255 - right side. Colt 1908 Vest Pocket .25 ACP serial number 409255 - rear slide/frame and post-war case colored grip safety with vivid case colors. 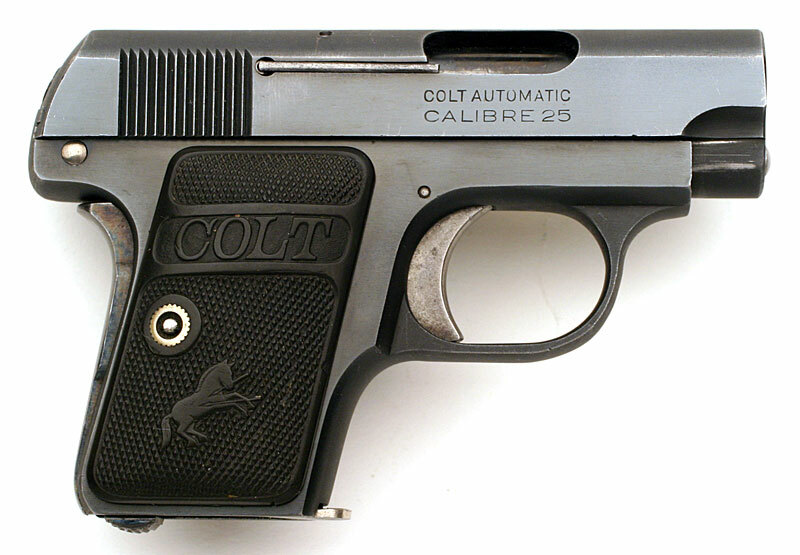 Colt 1908 Vest Pocket .25 ACP serial number 409255 - underside of slide and frame showing matte finish. 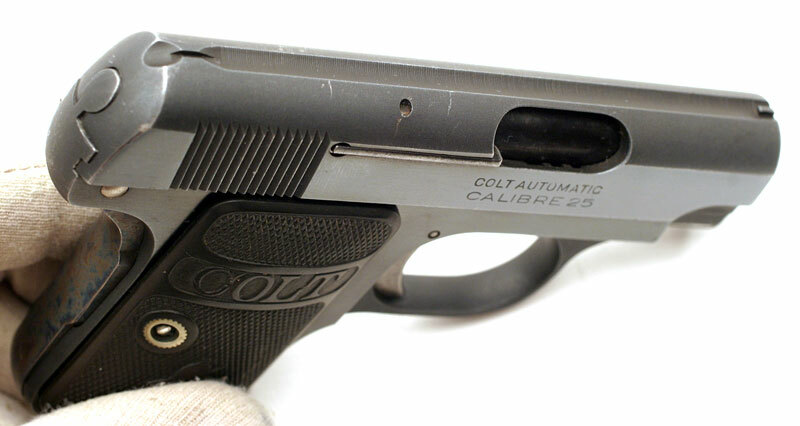 Colt 1908 Vest Pocket .25 ACP serial number 409255 - top of slide showing matte finish.